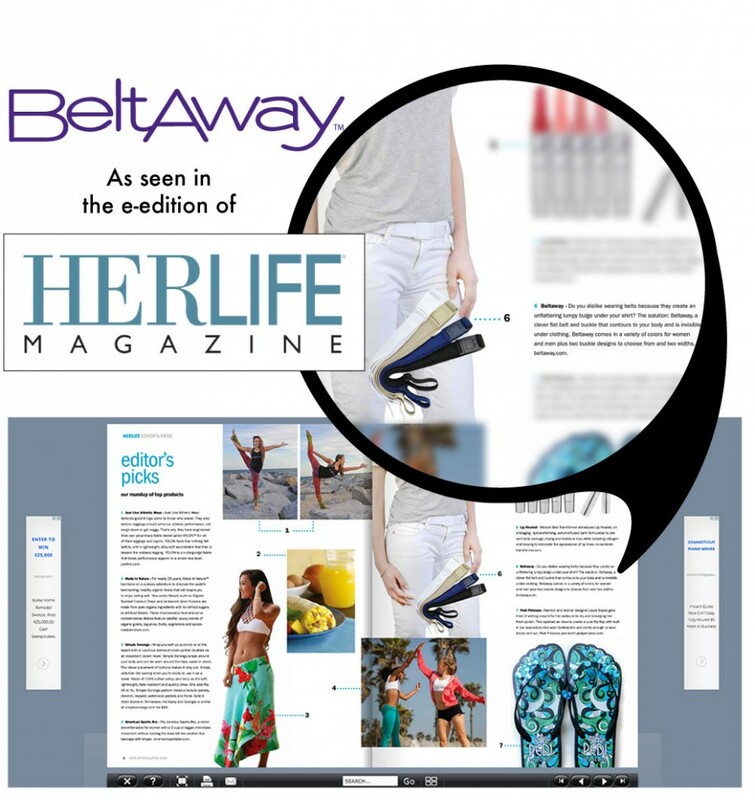 HERLIFE Magazine is a full color publication with the mission of Keeping Women Connected. Each month our magazines are dedicated to the celebration of all that is exceptional in our communities. From the inspirational women we promote to interesting topics such as health, beauty and fashion to what’s going on locally in each community, we strive to keep today’s women connected to the things they need and want. Pick out your Beltaway Today! This entry was posted in Blog Entry and tagged beltaway, Elastic Belt, HERLIFE Magazine, Invisible Belt, Stretch Belt.